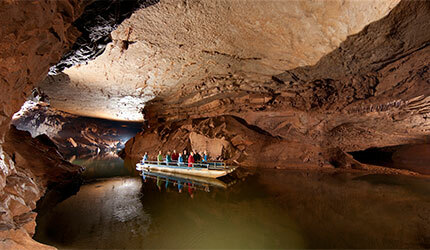 Twenty-five miles of Green River and six miles of Nolin River flow through Mammoth Cave National Park. Green River has an average width of 75 feet, and an average depth of 10 feet with holes of 30 feet. Shallows, sandbars, islands, and subsurface springs are numerous. 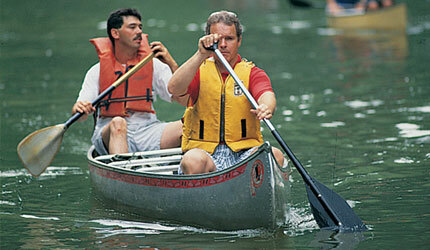 The rivers are suitable for all levels of canoeists. No scouting or portages are required. Ever dream of flying or are you just tired of walking to get some excitement? Our zip & rappel challenge course will test your personal limits, without putting you at risk! 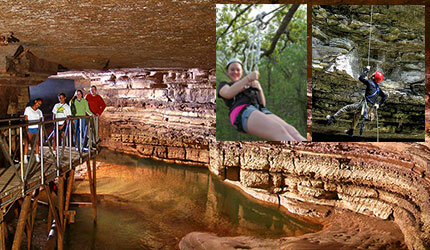 You can zip 70 feet off the ground at 30 miles per hour or rappel over 70 feet into the mouth of the cave! Call or visit our website for more information. Jesse James Riding Stables is pleased to offer some of the most gentle horses in the area. The Jesse James trail guides will lead you along some of the same paths that the notorious Jesse James took. Why are the horses so gentle? Because we allow them to graze on Kentucky Bluegrass all day long, and our riding trails are so lovely they find it relaxing. We think that you will find our trails just as relaxing. 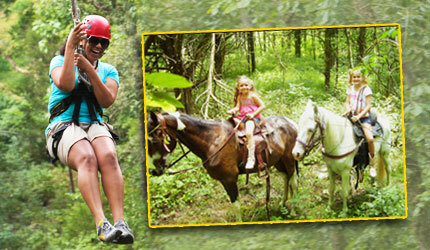 Mammoth Cave Adventures is home of Kentucky’s first canopy zipline tour. This eco-adventure is a fun and safe trip for the whole family, and is a great outdoor activity for kids, families, corporate groups, and adventure seekers. 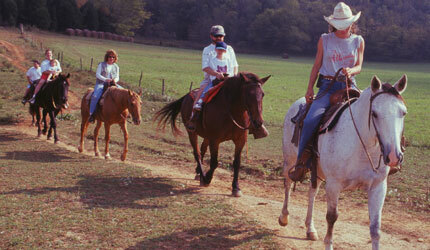 Looking for some scenic horseback riding? Let our guides take you through the greatest wooded trails minutes away from Mammoth Cave National Park. We are dedicated to making your trip one that you will never forget!!! 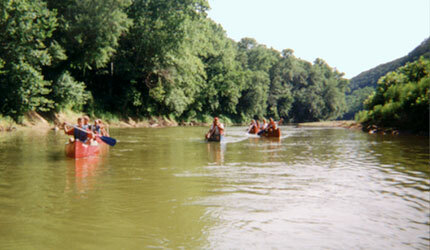 The Green River through Mammoth Cave National Park is one of the finest family oriented canoeing streams in the state of Kentucky. Nature has taken its course along the Green River and has reclaimed the environmental conditions of 200 years ago. Canoers can expect to encounter deer, beaver, fox, bobcat, wild turkey, a large variety of birds, and fish such as muskie, small mouth bass, and catfish.